The Givati Brigade was originally founded in 1947. 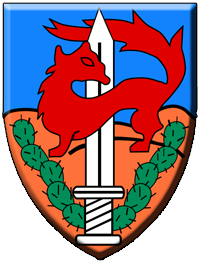 In 1956, after the Sinai Campaign, the Brigade was discontinued as part of IDF reorganization. In 1983, in light of the Peace for Galilee campaign, there was a need for additional infantry forces in IDF's combat alignment. The Givati Brigade- the very same brigade which faced the Egyptian military during the War of Independence. The first commander of the Brigade was Colonel Yehuda Duvdevani. The newly established Brigade was based upon the 'Shaked' Battalion, the remnant of the legendary 'Shaked' elite unit. The unit was established in 1958, and their action area was the Southern Command. The Shaked Battalion was later joined by the Tzabar and Rotem Battalions, and four units under the Brigade's jurisdiction; the Special Forces battalion, the combat engineering battalion, the anti-tank battalion, and the special communications battalion. The purpose of the Givati Brigade is specializing in Sea to Land operations. These operations require the force to launch from the ocean, and execute their mission on dry land. Operation Yoav (October 15­22, 1948) was planned in response to Egypt's success in isolating Jewish settlements in the South from the rest of Israel. Givati participated in this Operation along with the Palmach Negev and Yiftah brigades, as well as armored and infantry elements. The aim of the Operation was to drive a wedge into Egyptian forces in the Majdel Beit­Guvrin area, surround Egyptian forces in the Faluja pocket and open a central road to the Negev. Givati's role in the operation was the capture of the areas of Hulikat, Kawkaba, and the junction that is known today as Givati Junction. Following this operation, the Egyptians evacuated the entire area up to the Gaza Strip. Many sites of the battle now hold memorials to the brave deeds of the vastly outnumbered Givati troops who overcame and repelled the enemy. After the War of Independence, Givati was divided into two separate brigades. One of these, the 17th brigade, became a reserve brigade, while the second remained, under the name of Givati Brigade. In the summer of 1956, the regular brigade was disbanded, and the name of "Givati" was transferred to the 17th brigade, which operated under that name in the Sinai Campaign (1956) and in the Six Day War (1967) in the Central Command. In the Six Day War, the Brigade took part in fighting in Samaria, and the surrounding hills, up to the banks of the Jordan river. During the Yom Kippur War (1973), the Givati Brigade held a sector against the 3rd Egyptian Army, and its soldiers also held the captured Egyptian city of Suez, on the African banks of the Canal. Following the First Lebanon War in the early 1980's, the IDF felt the need for additional infantry forces to bolster its ranks. To this end, the Givati Brigade was re­formed on 13 June 1983. As a regular infantry brigade, the Givati Brigade undertakes ongoing security operations including, serving in the Territories, patrolling the borders, and manning positions in Lebanon. The brigade undertakes these responsibilities just as its older sister brigades do, and also has its own infantry specialization ­ marine amphibious landings. The Givati Brigade, after initial growing pains, emerged into a demanding, well­disciplined fighting force, with high­quality recruits, including IDF­affiliated Yeshiva students who alternate periods of study with tours of combat duty. It has, in recent years, played a key role in ongoing security operations in the Security Zone of Southern Lebanon. The Shaked elite unit was established in 1955, as a unit whose enlistees were volunteers, and as a special unit. The vocation of the elite unit was to protect the Israel-Egypt border. They served as a barrier to any attempted infiltration into the region. The name 'Shaked' is actually a contraction of the Hebrew words for 'protecting the southern border'. The unit was comprised of a wide variety of soldiers including Bedouins, Druze and Jews. The unit forged its own code of combat, and was therefore known for its professionalism. The Shaked Battalion was founded in 1984, and was the first Battalion of the Givati Brigade. It strives to continue the legacy of the Shaked elite unit. The Battalion was founded in 1983 as part of the Givati Brigade. The name is borrowed from the desert flora. The Tzabar plant is a common desert shrubbery. The plant also found its way to the Givati Brigade's unit badge (tag). Since its establishment, the Battalion has participated in many combat operations, in various action areas. Since the Second Intifada, the Battalion has been waging an ongoing war in the Gaza Strip. The 'Orev' Battalion is the Brigade's anti-tank force. Orev soldiers are trained both as regular Infantry, and in anti-tank warfare. The Brigade's special communications Battalion trains its soldiers both as regular Infantry soldiers, and as communications experts. They study how to operate tactical communications systems, and other types of communication apparatus. Another property which sets this unit apart from the other Battalions in the Brigade is its incorporation of non combat soldiers who assist in the operation of the communication equipment. The Combat Engineering Battalion is a special battalion whose purpose is to clear the way, providing the rest of the force with the ability to reach their destination in combat operations. The Battalion was formed in 1984 as part of the newly established Givati Brigade. Its soldiers are trained as general infantry, and specialize in combat engineering. The elite battalion of the Givati brigade was established in 1983, after the battalion's status changed from a reserves battalion to a battalion whose majority are soldiers in their regular enlistment service. The Givati Elite is one of the most active special units of the IDF, and among the most prominent of all special units.